Note : In Some Phones This App is not change privacy values so check it own.Our all team members Phone this app is working properly. 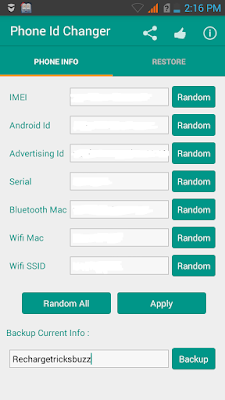 1.Visit Here to Download Device Id Changer App. Note : This is pro version of app which costs INR 191 in Playstore,but we are sharing it for free. 2.Install it in your phone. 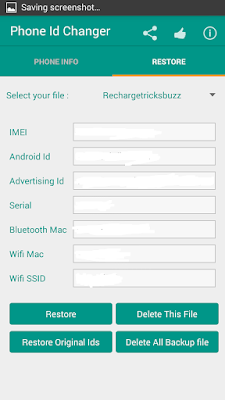 3.Open Xposed Installer,Go To Module,Tick in front of Phone Id Changer. 4.Now Go back in xposed and click on framework,There Under Reboot Section click on Soft Reboot. 5.App Activation Process is now done. 2.There if you change any value individually then simple click on Random in front of it.If you want to change all Privacy values like imei,android id,advertisement id,Android serial,Bluetooth mac address,Wifi Mac & SSID then simple click on Random All Button. 3.After Randomize values then click on Apply Button. 4.Done! 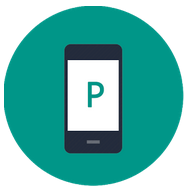 !Reboot your phone.But Next time whenever you will change your phone privacy values then you have no need to reboot your phone again,privacy values will simply change automatically. 5.For Back up your current privacy values which you can restore any time,Under Back up Current Info,Give any name to backup file then Click on Backup Button. 6.For Restore Privacy Values from Back Up File Go To Restore Section,Select your back up file which you want to restore then click on Restore Button.